Time marches ever onwards and before we knew it months had passed since our last community update. 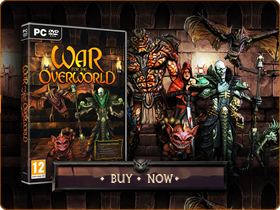 Now that our team is focussed primarily on our upcoming new project, we know you may be worried about long-term support for War for the Overworld. So to keep you in the loop it’s time to talk once more about the community initiatives that we’re planning. So sit down at our tavern table, and listen to the relaxing sounds of the screams that echo from the neighbouring torture chamber, as we share our vision of things to come! First up, and perhaps a surprise as it wasn’t mentioned in our previous plans: We’re hosting a developer stream on Steam, on Tuesday 28 August (Tomorrow!) at 3:30 p.m. UK time! Mark the date Underlord and join us for an exploration into the depths of our developers’ minds. This will be our first developer stream since our launch all the way back in 2015. So why now and why Steam only? Well we’re hoping to make our streams a regular feature moving forwards, but we need to get back on the saddle first. Back when we used to stream it was always somewhat ad hoc, with webcams and headsets pilfered from the bedroom of our Managing Director. 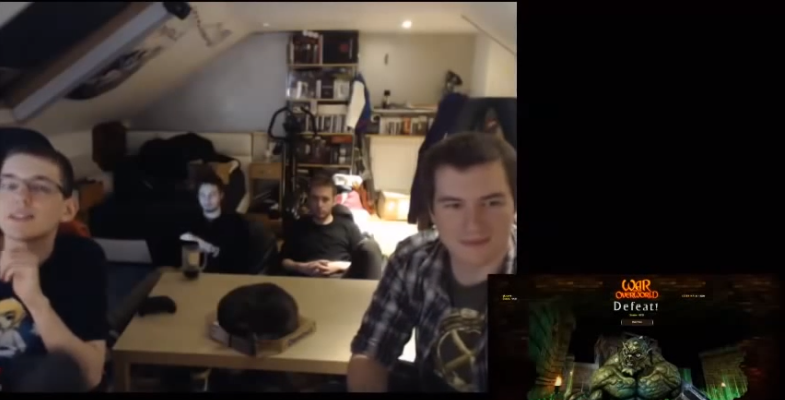 Bedroom Streams featuring Josh, Scott, Pat, Lee, Sammy the Cat and approximately 50 pixels! 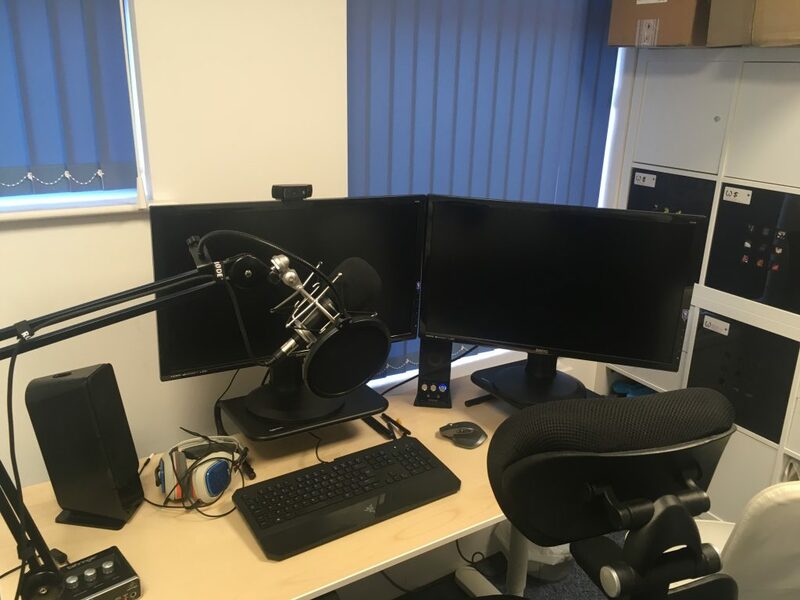 Now we have an office and a professional space, and with our work settling down, we’re looking to make future streams more professional as well. So we’re using Tuesday’s stream as a test and a learning experience – a way for us to develop ourselves and for you to offer feedback, ahead of us doing them more regularly and hopefully branching out to other platforms such as Twitch and Youtube as we work out the kinks. Begone webcam microphones! Welcome to our more professional setup. We’ve opened up a Steam thread for you to drop in any suggestions on what you’d like to see, and questions that you’d like us to answer during the stream. So please drop by there and tell us what you’d like to see! Developer Community Spotlight – We’ll play through a community-made map we’re planning to include in the upcoming spotlight (see below). You’ll get to see us explore a map we had no hand in making! Developer Face-Off – A 1v1 between two of our developers on a Skirmish map. What game mode would you like to see? 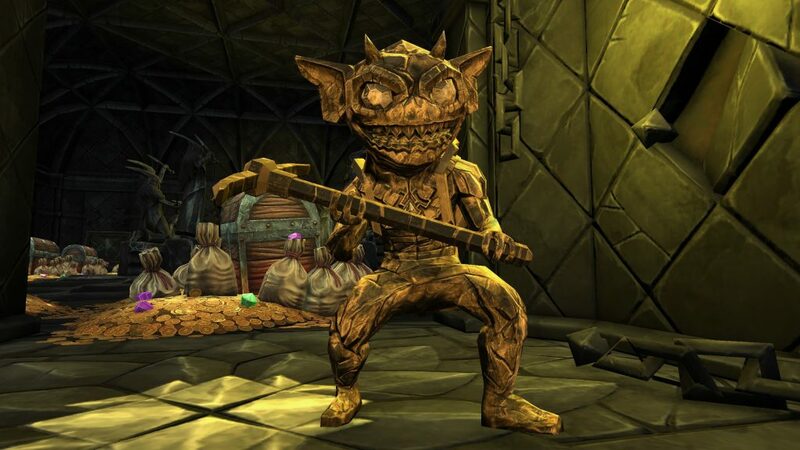 Deathmatch, King of the Underhill or Core Shards? My Pet Dungeon Playthrough, Commentary and Q&A – We’ll play through an MPD map, talking about the design decisions we made and the journey to make MPD a reality. This is when we’ll answer all your questions from the Steam thread, and be most able to answer questions in real time. If things go well we’ll likely use a similar format for future streams. But we’d also like to swap things up, such as including Map Editor segments, where we look at the tools and demonstrate how to use Mighty Script. This would supplement our upcoming tutorials, and give you some advanced techniques for your own maps. That about covers everything we have to say about the stream, at least until we go live on Tuesday afternoon! But remember, we want to hear your suggestions, feedback and questions over on the Steam thread. The Stream will be available on the Steam Store page, and when we have the broadcast account we’ll provide a link to the broadcast page! So with that hefty news out of the way, let’s look at what else we’ve got in store. Since we launched the 2.0 version of the Map Editor we’ve seen some incredible maps and campaigns, and we really want to signal boost the best ones! We’re in the process of picking our shortlist for the first spotlight; one of these will be included in the aforementioned stream, but once we’re done we’ll be posting up the full list. As there are so many great maps out there we’d love to know what your favourites are, and if you have any nominations for our spotlights going forward. We welcome any and all suggestions over in our Community Spotlight thread! 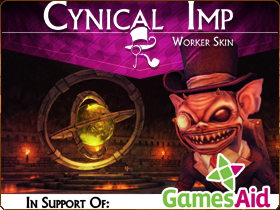 As always, maps highlighted will not only be given the prestige of being counted amongst our favourite maps, but their creators will also receive the coveted Golden Worker skin, which is only given out to community members that participate in such events! It’s our intention to repackage these maps into spotlight downloads, allowing one-click access for our players on and off Steam, so you can enjoy them without having to search through the Workshop. Moving forwards we plan to do spotlights either once a month or once every two months as our time allows. We’d like to invite creators to put their work forwards directly to us if they feel it has what it takes to reach the top. And remember, if your work isn’t included in one spotlight that doesn’t mean it can’t be included in the next. We expect our first spotlight will be live by the middle of September. We know that there’s a demand to get some additional insight into Mighty Script and how it works; to that end we’re still working on the video tutorials. We’ve planned out where we’ll be taking these and how we’ll be putting them together, so now all that’s left is to get them up. We’re planning to release these in waves starting with the most basic tutorials and working our way up to more complex things. We’ll be supplementing them with a few examples and additional reference materials as well. We expect the first wave of tutorials to be available towards the end of September, and we’d love to know what you’d like to see us cover. We hope that helps give you some insight, and as always we’d love to hear your feedback. Don’t forget to note Tuesday 28 August at 3:30 p.m. (UK time) in your calendar, as we go live with our stream on our Store Page!